Bed-making takes on new significance – Healthy Homeworks in Lewiston helps people hands-on improve their quality of life. As is often the case with worthy ventures, Healthy Homeworks was not planned, but emerged spontaneously. Smith, who manages intown properties part-time, and her husband, Nathan, worked through a number of older buildings and met a lot of tenants, and “learned where the pain points were … The generally poor condition of the housing. Lead paint poisoning. And so many people were really in need – didn’t even have their basic needs covered. “Most people were sleeping on the floors, many of them on mattresses dragged in off the street. And those had bedbugs. “The challenge was how to help out, from a health standpoint. 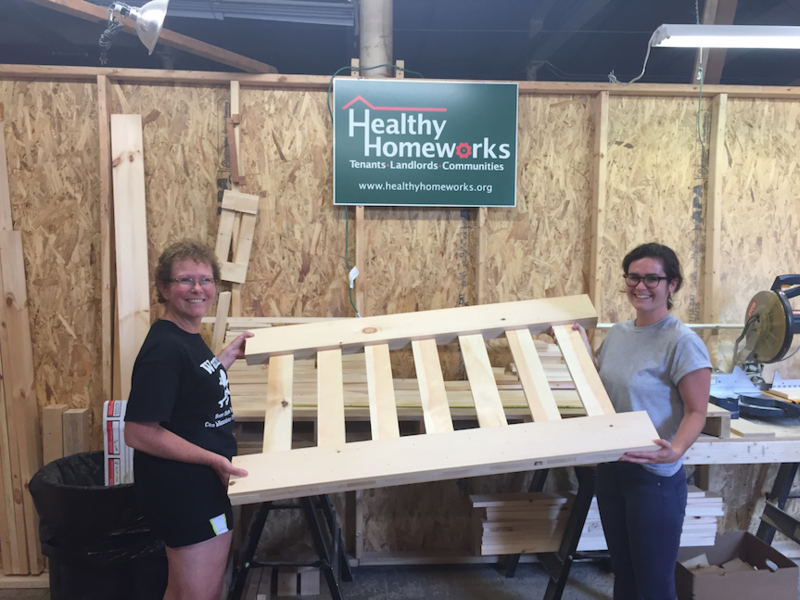 And since there was clearly such a need for beds …” Healthy Homeworks was born. https://www.avestahousing.org/wp-content/uploads/2017/04/Healthy-Homeworks.png 647 863 Portland Press Herald /wp-content/uploads/2017/01/logo.png Portland Press Herald2017-02-12 16:25:292017-08-18 10:59:35Bed-making takes on new significance - Healthy Homeworks in Lewiston helps people hands-on improve their quality of life.